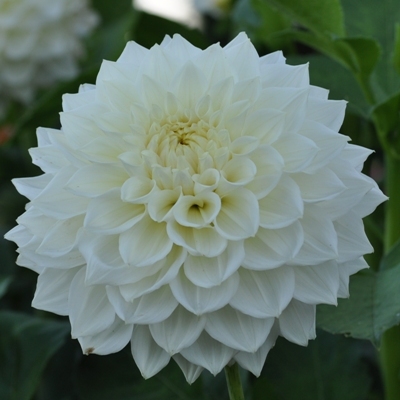 Since it starting flowering in our trial beds this has been one of the most regularly asked about Dahlias. First introduced by the raiser, the Late Ernie Cawkwell in 2016 it has never been available in any quantity. The flowers are held in the perfect position on good strong stems and easily reach full size for this classification when grown 7 stems up. The florets have a slightly re flexing habit and the form is actually not too bad with blooms dressing right back to the stem. I’d actually like to see this make an appearance on the show bench as i think it could do well. The plants themselves are of good habit growing to about 1.5m. This will produce good quality blooms outside in the open but would be better covered if you wish to give it a go on the show bench. Flowers were still lovely and clean without any sign of damping, even in October. 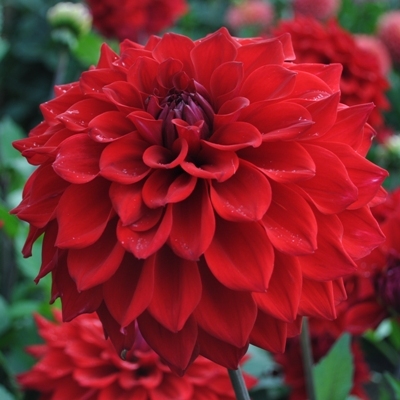 Bronze Award at the National Dahlia Society’s Exhibition Trials at Golden Acre Park, Leeds in 2015. Suitable for: Cut flower and garden display. 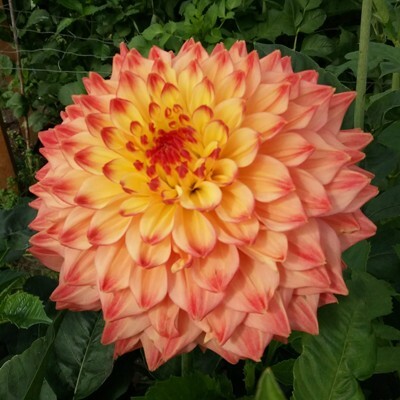 Stopping: Mid June, stop at 4- 5 pairs of leaves restricting to 6 or 8 flowering stems for exhibition or allow allow all breaks to come for garden display. 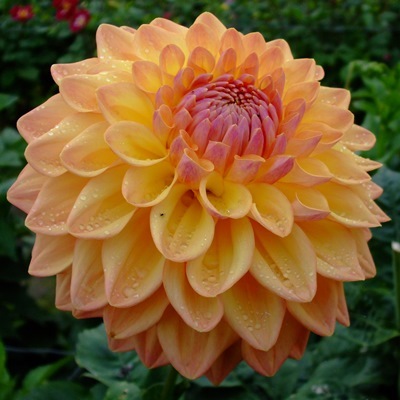 Disbudding: For the best sized flowers remove the first 3-4 pairs of buds below the main bud. Plant Spacing: For exhibition: 2 row bed. 60 x 60cm apart with 1.2m between beds.